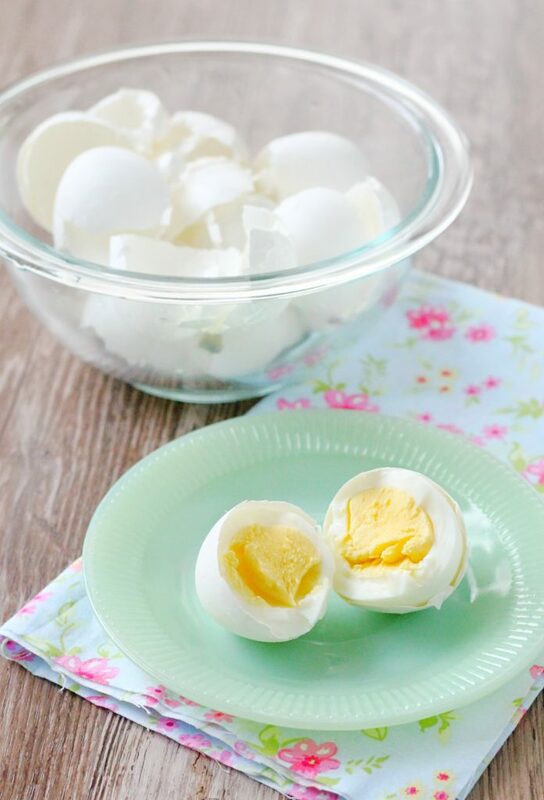 Easy Peel Hard Boiled Eggs - this method is magic! 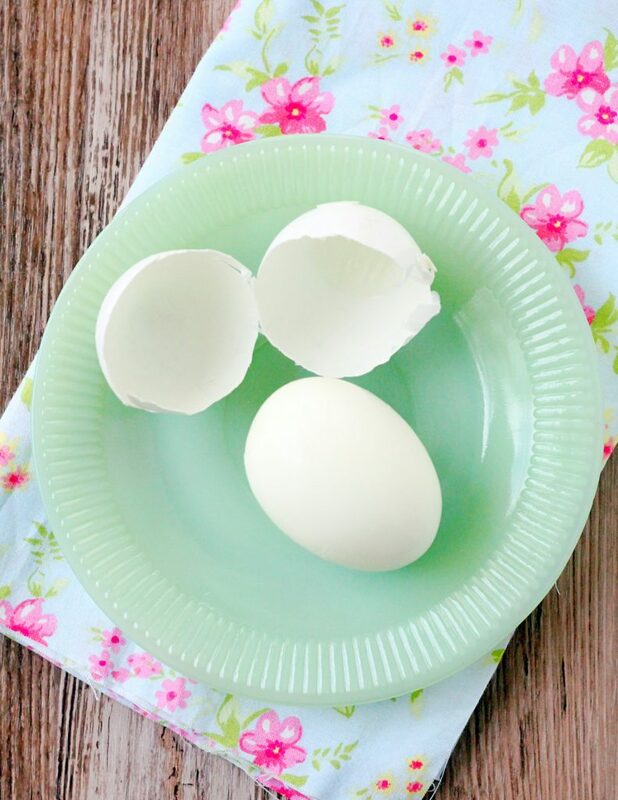 This method yields easy peel hard boiled eggs every time – guaranteed! My friend told me a tip for hard-boiled eggs that I’d never heard before and it was magic. I’ll even go so far as saying it was life changing. Why? Because my family eats a LOT of hard boiled eggs. 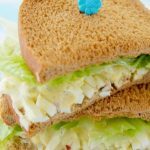 Plain, salted, sliced on crackers, in egg salad, chopped on a salad… we are egg lovers. And I promise you this method for hard boiling eggs will make them easy to peel every single time! So my friend found the method over at BuzzFeed HERE. It’s an extensive article and boy am I glad they decided to go through all the trouble to write up their findings. I decided to make a video of the method because I’ve tried lots of other tips and tricks before that weren’t all they were cracked up to be (pun intended). 3. Very gently (with a pasta server preferably) lower the eggs into the boiling water and vinegar one at a time. If you don’t do this gently the eggs will crack. But trust me patience is a virtue and totally pays off in the end! 4. Gently simmer the eggs for 14 minutes. I reduced my heat to medium high. Because the eggs were cold it lowered the temperature of the water already. 5. Rinse the eggs in the same pan under cold water and then add some ice cubes. They only need to cool until you can easily handle them. 6. Peel immediately and be amazed! 7. 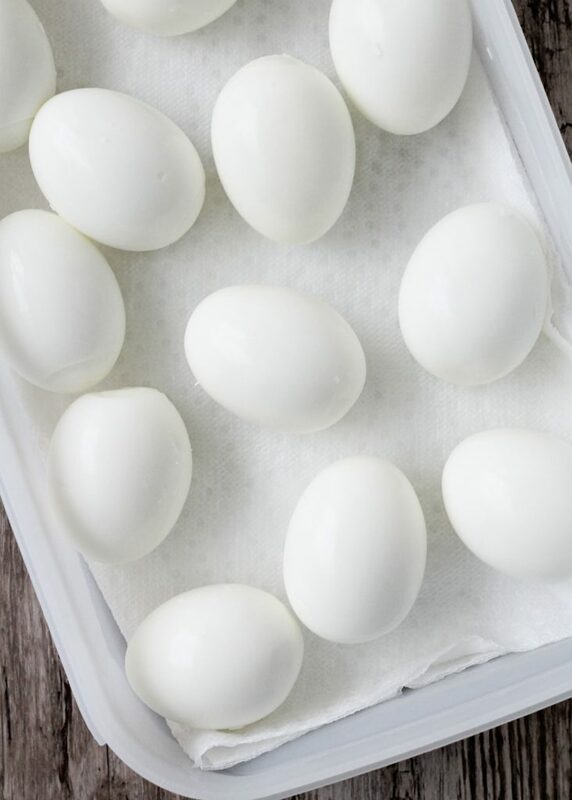 Store the peeled eggs in an air-tight container in the refrigerator for several days. I’ve read lots of articles claiming the eggs need to be a week or two old to peel easily. With this method that is not necessary at all! I bought the eggs used in my video just one hour before filming. This is seriously the best method for hard boiling eggs. Try it yourself and be amazed. 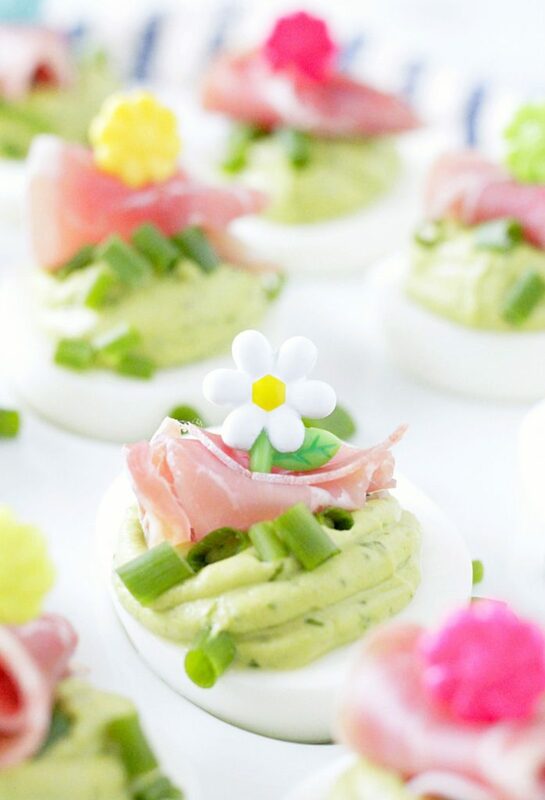 This is great – I love hard boiled eggs! You say “for several days” – do you think they’d last a full week or will they dry out too much? 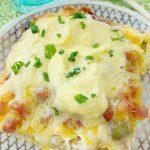 I usually hard boil a dozen eggs on the weekend and my toddler and I eat them throughout the following week. I’ve always peeled them when we eat them because I thought they’d dry out too much otherwise! Right, I used to peel them when we’d eat them too. But most times I’d end up with peels sticking to the egg and a mutilated egg 🙂 So far the longest a dozen has lasted for us (with four people eating) is 3 days. And they were fine. I put a couple of layers of damp paper towels in the bottom of my container. They taste great! Not sure about a week though. You could just do six at a time. To me the convenience of reaching in for an already peeled egg makes me eat more! If I only boil 6 eggs (I live alone) do I cut water & vinegar in half? Sorry for the late reply. I’ve never done only six eggs but as long as water and vinegar is about an inch above the eggs you are good. That is one perfectly cooked egg! Beautiful. I will have to try it your way : ) My neighbors have chickens and are always giving me eggs. Thanks. There is nothing worse than trying to peel and egg and being left with, well, nothing…can’t wait to try your trick to perfect peeled eggs every time! I buy fresh farm eggs and their shells are harder. Was told to take 1/2 cylinder of salt ( a lot) and I put the salt in cold water and dissolve it. Put eggs in pan. Turn heat on and bring to a rolling boil. Immediately put lid on pan and take off the heat. Let set for 15 min. Then transfer the eggs into a metal bowl and run cold water over the eggs. My pans say not to put cold water in a hot pan. Run under cold water and peel as soon as you can handle. It works perfect. No green around the yoke either. Boil eggs is a easy method and common to eveyone,but some tricks and tips are quite good.Thank you for sharing. Yes, my mom used this same method for years, and it works! We lived close to an Amish community, so I wonder if this is who my mom may have learned it from. That’s interesting. I’m thankful to whoever figured it out, that’s for sure! I will definitely have to try this method although is there any significance to boiling the eggs for 14 minutes? I prefer a little softer boiled egg. I would assume that I would just cut back on cooking time but I’d be disappointed in myself if I was wrong and have them be wasted. Thank you. Store bought eggs are already weeks old. Is it the vinegar that helps with the peeling or is it used as a cleaner/disinfect ent? Eggs from the store are usually delivered between one and seven days from leaving the farm. The 45-day old myth that I also have seen floating around is simply not true. 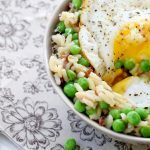 See this article (http://www.askthefarmers.com/how-fast-do-eggs-get-delivered-to-grocery-stores/). I’m not sure how the science behind this method exactly works but the vinegar works to help when boiling to make the eggs easier to peel. It’s not in the recipe as cleaner or disinfectant as pasteurized eggs are already clean. It really is the best way I have found to hard boil eggs. how easy is that! i love hard boiled eggs for snack but always end up wasting so much of the actual egg! Exactly – I did too and stopped hard boiling eggs for quite a while before I tried this. These eggs are cooked perfectly! I have to try your method! These are perfect wow I never have good luck peeling the shells off .. great job! When we had our own hens, I used to buy eggs at the grocery store, because they absolutely wouldn’t peel. I wonder if this will work. I’ll have to give it a try!! Please try and come back and let us know if it works on fresh from the home/farm eggs!